California Linen Services provides quality napkins, table cloths, apparel and other textile items throughout San Gabriel Valley. 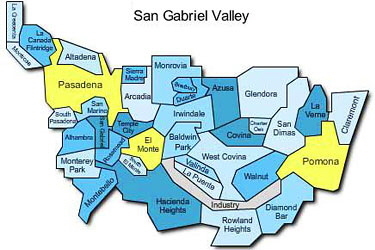 We proudly deliver “Quality Service … Every Time” to the following San Gabriel Valley cities: Alhambra, Altadena, Arcadia, Azusa, Baldwin Park, Bradbury, Covina, Diamond Bar, Duarte, El Monte, Glendora, Industry, Irwindale, La Cañada Flintridge, La Habra Heights, La Mirada, La Puente, Monrovia, Montebello, Monterey Park, Pasadena, Pico Rivera, Rosemead, San Gabriel, San Marino, Santa Fe Springs, Sierra Madre, South El Monte, South Pasadena, South San Gabriel, Temple City, Walnut, West Covina, and Whittier. Why choose CLS for linen service in San Gabriel Valley?